Keeping employees comfortable and productive without racking up energy bills doesn’t have to be a struggle for Pasco County, Florida, business owners. You can keep those commercial HVAC costs in check by focusing on system efficiency, indoor temperatures, and humidity levels. It’s essential to optimize your commercial HVAC system as needed. 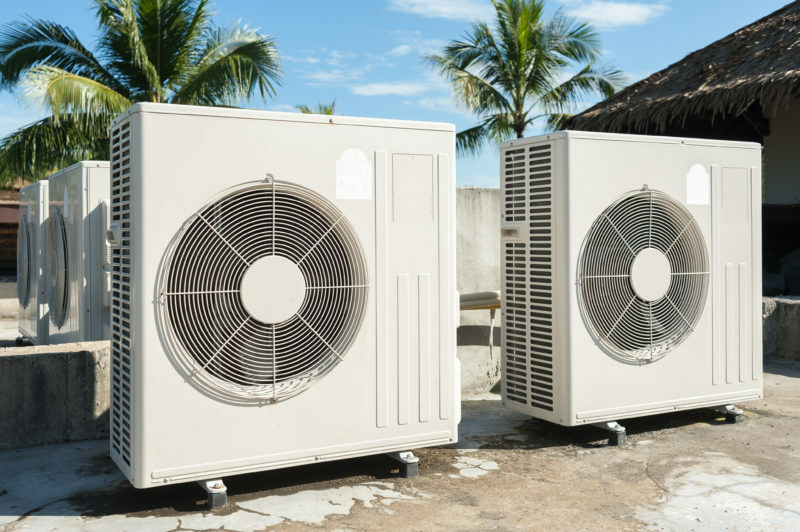 If you’re a building owner, this means installing properly sized, energy-efficient units that keep up with demands. You should also schedule an annual HVAC maintenance for regular inspections and testing. A commercial HVAC service from Advanced Cooling Systems includes a comprehensive analysis that can identify hidden defects in the system, allowing us to target inefficiencies and improve them to reduce utility costs. Control your office’s temperature using a programmable or smart thermostat. This technology allows you to create a comfortable work environment from 9 to 5 while automatically switching the temperature to a more efficient number once everyone leaves. You may have some employees who need to keep desk fans or sweaters on hand, but you’ll be keeping those energy bills in check. You should also consider setting temperature zones for unoccupied rooms. For example, an office’s storage rooms can have their own thermostats, which you can control separately from the main work areas. Did you know that our perception of interior temperatures can change based on how much moisture is in the air? When a room is too humid, you might feel warmer than the temperature indicated on the thermostat. When it’s too dry, you’ll probably feel a chill. Excess humidity levels also harbor mold and bacteria, while dry areas cause sore throats and itchy skin. Keep humidity levels in check by having humidity-control products installed in your office building. Not only will you experience a marked improvement in overall comfort, but you’ll enjoy energy savings over time as well. Learn more about how we can reduce your commercial HVAC costs by calling Advanced Cooling Systems at 866-827-7662.